Silver Eye’s inaugural Radial Survey showcases outstanding work by photographers living and working within a 300 mile radius of Pittsburgh. April 4- May 25, 2019. I wrote the exhibition essay which can be read here. Teaching: Reading Pictures Writing Photography, Carnegie Mellon University, Fall 2018. Work from On Garrison Creek was shown for the first time at flotillafotilla's popup show, "The GROUND" on April 14, 2018. Thank you flotillaflotilla. The Silver Eye Center for Photography Benefit Auction is on May 19. Preview Party is April 28. Go see the pieces that so many talented photographers have donated to support this great organization that was so important to me as a teenager learning about photography in Pittsburgh, that I continue to cherish today. Sophia Sobers' "In Mountains" is in the Atwood Window Gallery, 251 Atwood Street. Go see it! Also check out @atwoodwindowgallery on Instagram. Darrell Kinsel's mixed media figures "Shells of Our Former Selves" are now on display in the Atwood Window Gallery, 251 Atwood Street, Pittsburgh. "Touch ID" portraits by Andi Irwin are now on display in the window of the Atwood Window Gallery. Charlee Brodsky's photographs and Jim Daniels' poems are now up in the Atwood Window Gallery. The Oakland Planning and Development Corporation has made a page where you can see all of the artists whose work I have shown in the Atwood Window Gallery over the last couple of years. Thank you to all of the generous artists! And thanks to Wanda Wilson and the OPDC, and especially to Emily Hower for putting this page together. The windows are at 251 Atwood Street, Pittsburgh, next to Spice Island Tea House (fb). I wrote the exhibition essay, "In the Air, in the Forest, at the Bottom of the Ocean" for Apprehensions, at Circuit Gallery in Toronto. It's a terrific show, and the prints have the kind of presence that rewards seeing them in person. Curated by Claire Sykes and featuring the work of Chris Bennett, Eamon Mac Mahon, and Jon Wyatt. Circuit Gallery, Toronto, November 26 - December 19, 2015. The SPE Mid-Atlantic Region Conference were in Pittsburgh October 23-24, 2015. Keynote speakers: Mark Klett and Byron Wolfe. The theme was "About a Place" and it was a pleasure and honor to be able to hear so many wonderful photographers speak about their work. I organized the panels for the conference and also moderated a panel including Andrew Frost, Jay Muhlin and Joshua Rashaad McFadden. Other photographers participating included Jeff Rich, Christine Holtz and Lauren Zadikow, Deborah Jack, Daniel King, Michael Sherwin, Lori Hepner, Angeles Cossio and Ivan Ng. I'm honored to be included in Start with Art: Pittsburgh, a project conceived and developed by Matthew Conboy, the recipient of the 2014 Crusade Engagement Grant from Crusade for Art. 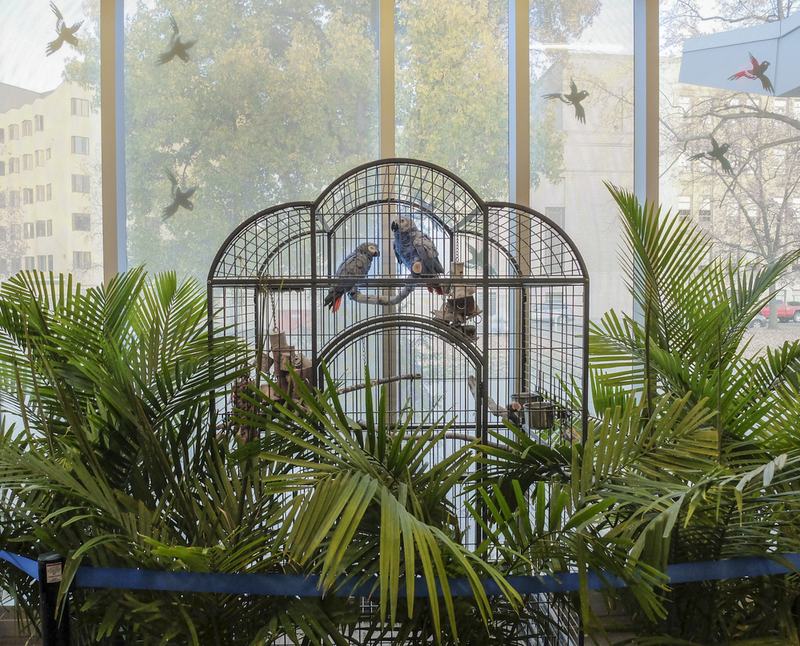 For the entirety of 2015, every baby born at The Midwife Center for Birth & Women's Health, St. Clair Hospital, and UPMC Mercy will begin life as an art collector; babies born in July 2015 went home with a print of Aviary, below.